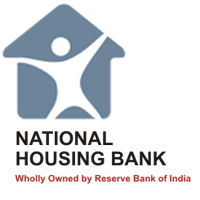 National Housing Bank Jobs Recruitment Notification 2019.National Housing Bank inviting applications for the positions of Assistant Manager.Interested and Eligible candidates can apply for the positions. Candidates must have completed Degree/ PG degree from recognized university. Age limit should be 21 to 28 years. Selection will be based on Written Test/ Interview/ GD. Candidates can apply to this recruitment via online. Go to official website nhb.org.in. To apply click “Apply Online” enter your details correctly.